Are you always worried about your internet privacy and looking for some an extra security layer when browsing the internet? You will see that there are so many ways to go about achieving it. 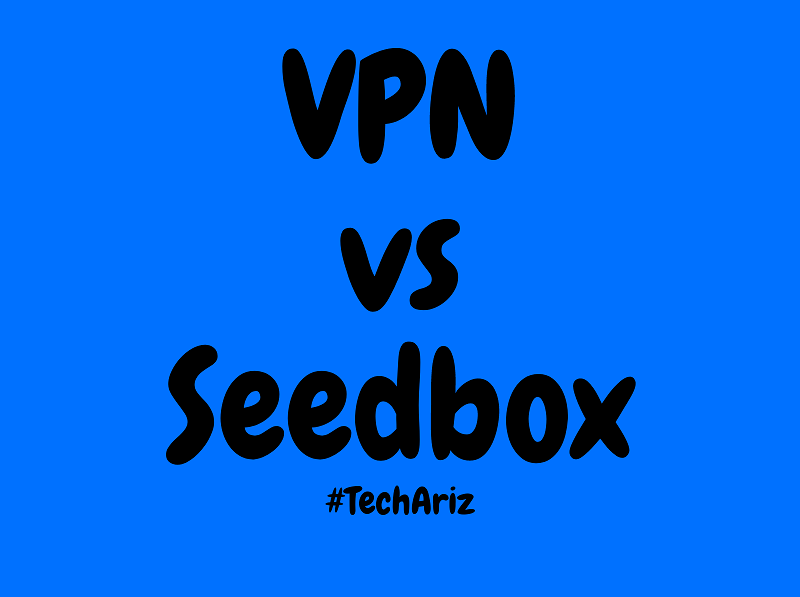 Here we are going to review two strong solutions of internet privacy: Seedbox vs VPN. Both these technologies give perfect solutions to various privacy problems that you might have when using the internet. 2 How to use Seedbox? 4 How to use VPN? 5 VPN vs SeedBox: What is the Difference? 6 Seedbox vs VPN, which one is better? Seedbox is the cloud-based server that is used to download torrents to your remote cloud-based server, Seedbox from where you can download it again to your local system without compromising your privacy. Suppose you download any torrents to your PC on regular basis, you might be worried that, somebody like government or copyright owners can see that you’re downloading such files and can send a warning or maybe something more than that which affects your life. The seedbox reduces this risk by first downloading this file to seedbox server. It means that anybody (government/other concerned parties) who are spying the file hosted server can just see the IP address of the seedbox you are using to download the file and not the IP address of the computer, which is your server. When all your torrents are downloaded, you can just download it from seedbox to your PC. Obviously, the extra time/bandwidth which you spend for downloading those files again from the seedbox becomes a hassle and can take much longer than just downloading the file straight to the computer but believe me, if you really wanna hide your identity from others then Seedbox is the best solution. Seedboxes have the torrent interface, which you log in where you may load the torrent files and start downloading. Once the torrent gets downloaded onto your Seedbox, you will need to download this to your local system through FTP (or network protocol, which transfers files between the client and the server) or SFTP. You can use FTP clients such as FileZilla or some other available tools. Certain Seedbox vendors allow you to download files from the HTTP file browser itself. Check out the best cheap Seedbox which you can use for torrenting, reviewed by TechAriz exclusively for our readers. Zero % risk of somebody tracking your IP address or other details. Need to download everything two times. To seedbox and to your PC. Doesn’t have uses other than downloading the torrents. Useful only with the private torrent trackers. Virtual Private Network is basically a private network extended from the public network using which you can divert all the traffic through that different network. It’s even possible to install the VPN clients on the routers if the router has got firmware that accepts it. For instance, routers installed with the DD-WRT file. Most of the VPN providers are providing easy to use VPN services. So, all you have to do is to buy the subscription (monthly, quarterly and annually). Then you can download the platform’s client and choose the server to link to the VPN. Making it appear as your traffic comes from other location. Redirecting traffic by another network will slow down your internet. Some VPNs do not allow you to use it to download the torrents. VPN vs SeedBox: What is the Difference? Weighing benefits of the VPNs against the Seedboxes completely depends on what is your purpose of security. Thus, Seedbox will prove very helpful in case you use the private torrent trackers or to maintain the desired download ratio. However, on the other hand, VPN is a simple solution. Even though you prefer using the SeedBox, still you can make use of a VPN server for advanced security. You may directly download the torrent files by making use of VPN directly which offers encryption, anonymity, and secures the personal information. While Seedbox has got limited access and works only in the areas where this is based. Thus, in terms of accessing the locations, VPN is perfect as it’s based in all countries across the world. One disadvantage of Seedbox tool is if it ever gets locked and tracked, the downloading procedure will crash down and you might lose all your data. Seedboxes often have some other amazing features included like the OpenVPN, automation tools, secure remote desktop, and many more. Seedbox vs VPN, which one is better? The seedbox can be very useful if you want to use private torrent trackers as the powerful Seedbox will be beneficial in helping you to maintain the required upload and download ratio. However, since Seedbox needs you to download files straight to your computer (from the far away server), VPN is the easier solution for you to download the torrent files. With the VPN, you may download the torrent files, without any need to hassle with the private trackers or extra steps involved. Majority of VPNs we have reviewed (precisely ones that we have mentioned) hardly impact the download speeds of the torrents. It is recommended to use the VPN with the seedbox anyway. VPNs are best for the security as they completely encrypt all your internet traffic & IP address information. Let’s see how these features are very useful. The VPN encrypts all the traffic between your PC and VPN destination server. In this way, it makes it harder for anybody to see and know what you’re doing on the internet. Even though they manage in accessing your network, but they will only see plenty of traffic which they cannot read. You might be thinking like why you need any kind of encryption? Obviously, this might be true, but, how often will you log on to the networks outside your home? Even importantly, how many times will you log in the networks that do not require any password? Each time you use the unsecured network, there’s the chance that hacker will monitor this for the passwords and important details. But, VPN’s encryption feature will stop anybody from seeing the traffic, even on “open” network. When your traffic gets redirected through the private network, any sites that you visit can see the IP address of VPN destination, and not your IP address. It has some obvious advantages for privacy, primarily that people checking on your browsing data will not know what you’re exactly looking at. The fact that the VPN routes the traffic through the other virtual network makes other websites to think that the traffic comes from that particular location. This is very useful if you ever want to make this appear like you’re browsing from other countries. Some examples where it is very useful include: seeing various versions of some websites, accessing the websites which are blocked, accessing the location specific content. Local Torrenting – Suppose you’re downloading the torrent files to the local machine or you are looking to hide away your activity and stay anonymous, so doing that when having the VPN tunnel on is recommended. Streaming – Suppose you want to stream the content by using some popular streaming solutions, then encrypting your network connection through the VPN can provide you with the private connection. Downloading from the Seedbox – There can be cases where you want to hide all the downloading activity or have the media files to be transferred to your PC through FTP (FTPs aren’t supported by the Seedbox vendor), in such case, extra privacy protection through VPN service is very helpful to make sure that the activity stays totally private. In this battle of Seedbox vs VPN differences, the winner actually depends on what you want from the security perspective. Suppose you want the safety while downloading the torrents files, then using the Seedbox will be a good idea for you. Having said this, the best idea will be making use of the Seedbox and VPN for some extra security. You just need to ensure that the VPN does not have any kind of limits for the downloads and it works with the torrents as well. The VPN, on the other hand, has a lot of different uses. You can use it for general internet browsing also if you want the extra security layer. Encryption that VPN offers and a fact that it will hide away your IP identity from websites that you visit mean that you can look for more security while using the VPN. For me VPN still the best choice, because is easier to use, and I can be sure that any information what I’m doing doesn’t reach the third parties. So instead of the seedbox, I use nordvpn, and everything works fine. Yes, VPN is the best choice comparing to Seedbox but still for torrenting, Seedbox is good!